FINANCE secretary George Guvamatanga says Treasury is undertaking an audit to ascertain government’s debt. Guvamatanga made the disclosure yesterday when he appeared before Parliament’s Public Accounts Committee (PAC), which sought an explanation as to why the Finance ministry had not gazetted loans contracted by government. He said non-compliance to the Public Debt Management Act and Public Finance Management Act, which compel Treasury to disclose unbudgeted expenditure and debt contraction to Parliament, was caused by a “systematic failure in the whole chain of government”. “The review is still going on so as to establish the purpose and use of the debt and will be presented to Parliament,” he said. Zimbabwe’s public debt was in the region of $17 billion, as of August last year, according to Treasury data. Guvamatanga said the Finance ministry was still gathering information on the foreign debt and further said it had a comprehensive report on the domestic debt, which would be submitted to Parliament soon. 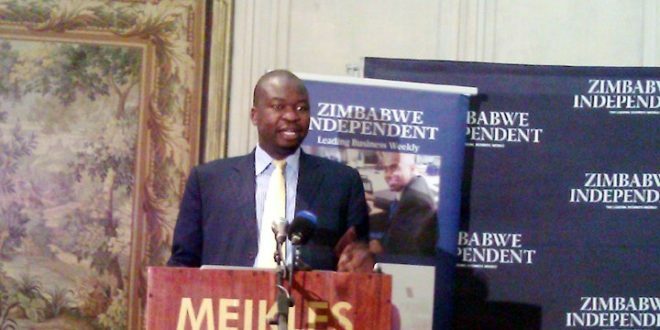 Committee member Willias Madzimure asked if the ministry had a schedule of debts and also why there was a variance of the country’s debt figures in the blue book and the budget statement. The blue book put total public debt at $9,2 billion, while the budget statement has a figure of $17,6 billion. Another committee member Zenzo Sibanda asked if the Finance ministry had set borrowing limits for local authorities. “When borrowing is done, due diligence is done and we do that in consultation with the Local Government ministry. What was not set was the limit, but Local Government does not borrow without consulting the Finance ministry,” Guvamatanga replied. due to systematic failure in government,” he said.